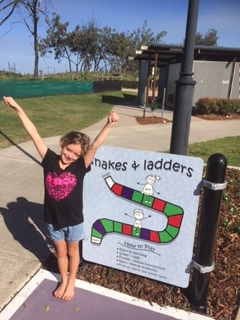 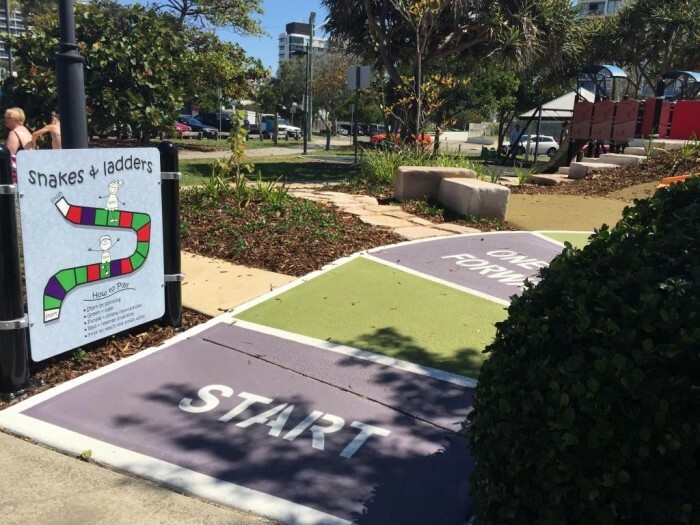 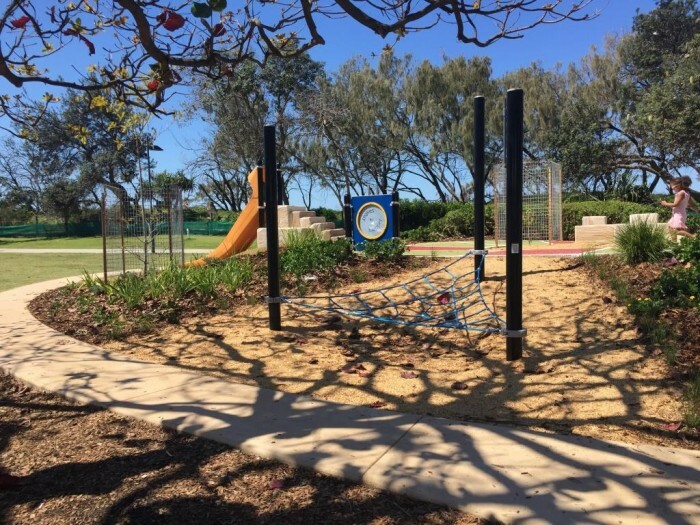 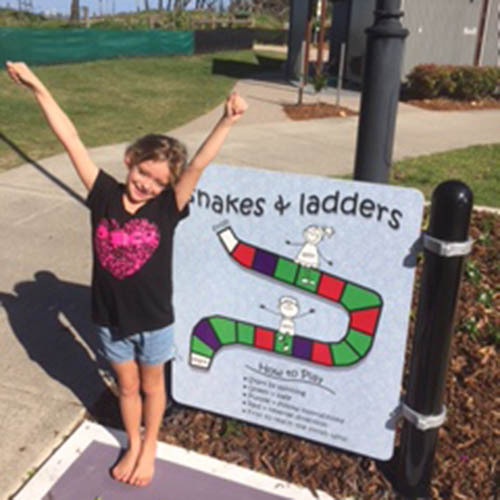 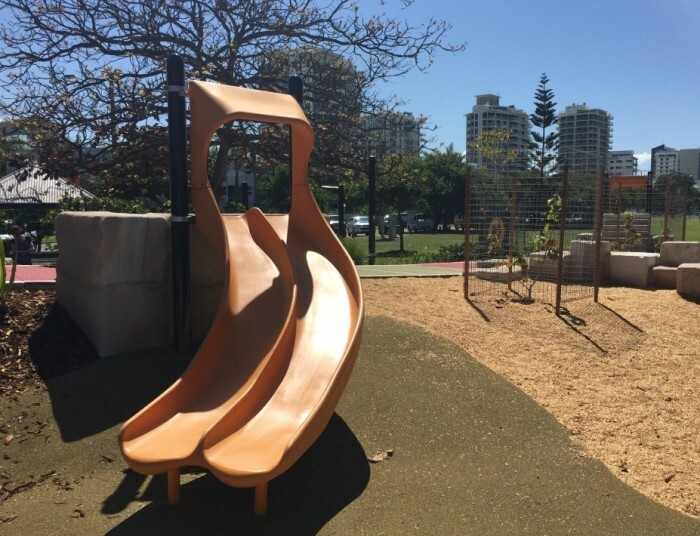 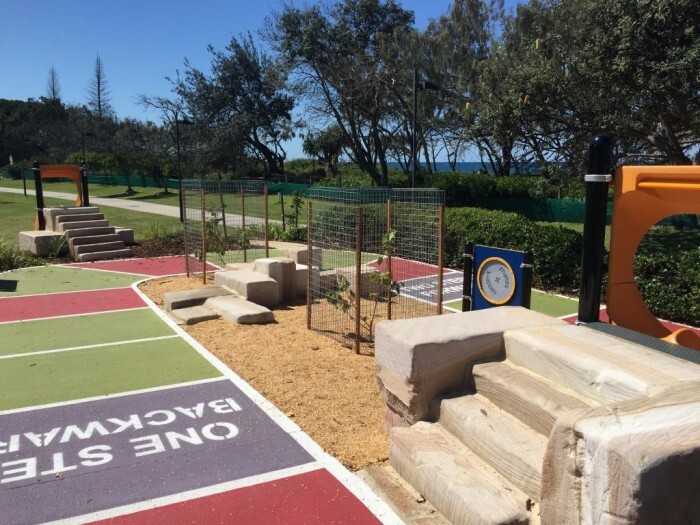 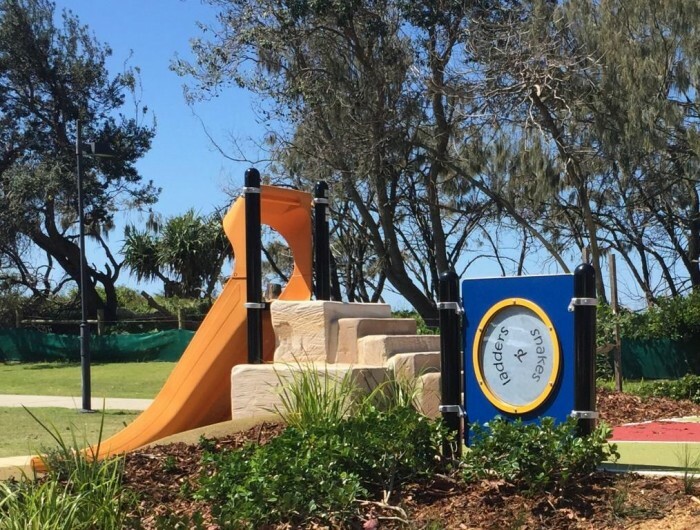 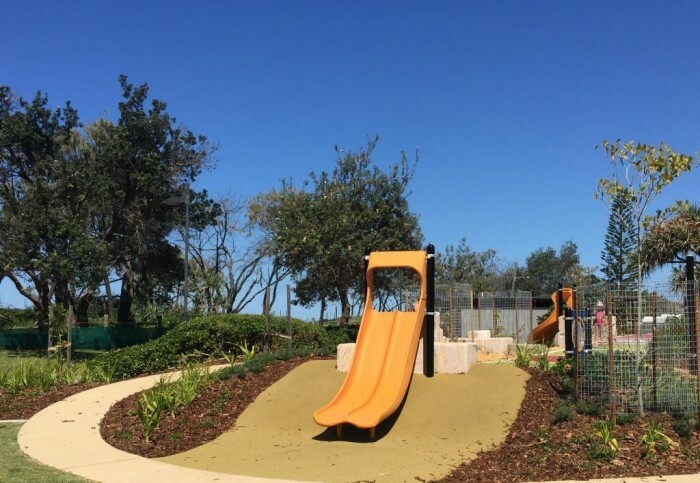 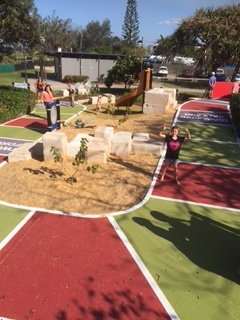 This Snakes and Ladders playground near Cotton Tree on the Sunshine Coast has incorporated fantastic product with clever design to achieve connectivity and play value which has been well received by the community and tourist visitors alike. 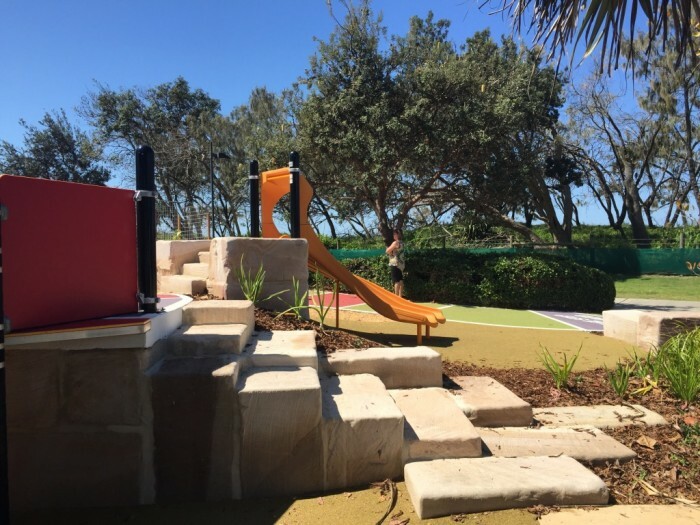 Working closely with Landscape Architects Lat27, the brief was to transform an existing playspace into an engaging area themed around the Snakes and Ladders game. 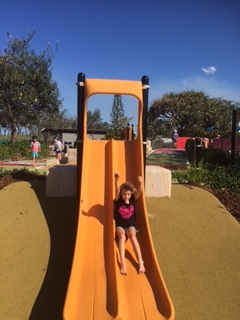 Retrofitting the existing infrastructure and working with the existing slope and constraints of the site, a double swoosh slide and double swirl slide were built into the embankments, along with a net structure and custom designed game panel to create a challenge and adventure throughout the game. 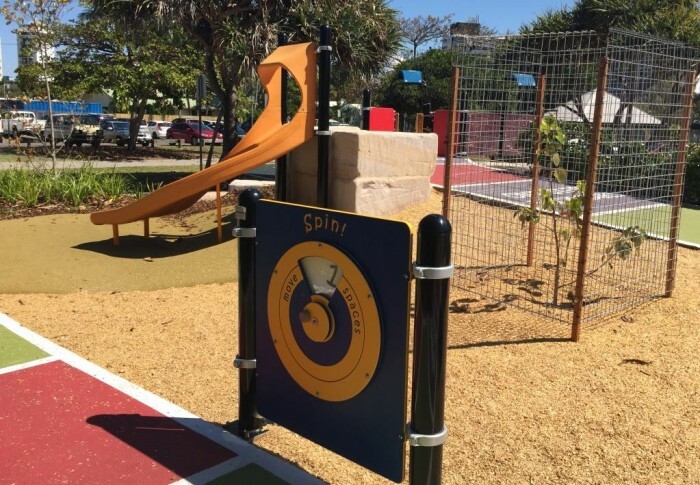 The project was delivered by Aspect Constructions, completing a project that exceeded the client’s expectations.